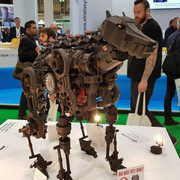 From the 25th - 27th September NEC in Birmingham will again be hosting one of the worlds largest 3D printing expos, The TCT Show. It's a great chance to meet your filament suppliers and printer manufacturers in person, ask them questions and give them feedback, you get to see first hand the new tech coming out, plus, you walk away with an absolute ton of free filament! You do need to register in advance which only takes a minute, but it's completely free, so what are you waiting for? I'll be heading up there on the 25th for the day. If anyone else thinks they may be going, let me know! I thought about it, but decided against going in the end as it's too far to drive for me considering what it appears to be; a production industry focused fair concentrating on pro engineering equipment. If I was more local I would drop by though as it does look interesting. 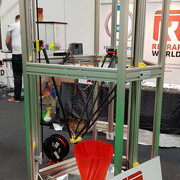 What percentage of exhibitors would you say are 3D Printer based?